If you’ve ever been one of my clients, you’ve probably heard me say this. It’s something I say to remind my moms when labor begins to get tough, and it’s a matter of getting through one contraction at a time. A simple phrase, a warm touch of reassurance, but it means a lot more to me when I really dig in to why I say it. When I'm trying to convey something stronger I often stumble over my words, trying to verbalize all the emotions that I cannot always express without getting tripped up and choked up. All too often this phrase is getting used as a trite comforting gesture. It's become the proverbial knock on the shoulder, and "You stay chipper!" Let go of the nagging fears that are no longing serving you. You are so strong. 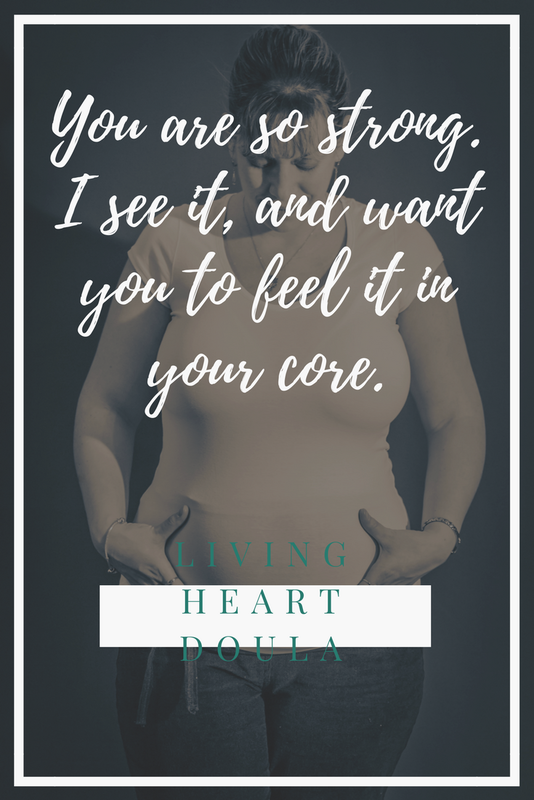 I see it, and want you to feel it in your core. This birthing thing… you’re rocking it! Dad, who is so unsure of what to do and think right now? Let her hold on to you. You’re a rock for her. Breastfeeding is hard sometimes, and it feels like you have a million new questions everyday. Ask them. Trust your gut if something feels off and you want another opinion. Parenthood is wild and hard. Don’t doubt your abilities to raise these little people. If you do, call a friend. Guaranteed they feel the same. Try again tomorrow. You may have only had two hours of sleep, and there’s a long day ahead of you. One step, one minute at a time. Sometimes postpartum hormones are really mean, and anxiety is a dirty rotten liar. Let's talk about how you're feeling. Going back to work after maternity/paternity leave is so hard. How are things going to be for our routine? How am I going to feel? Take it one day at a time, and bend when the wind blows. Be flexible where you can, and give yourself and your family all the grace you need during this season.